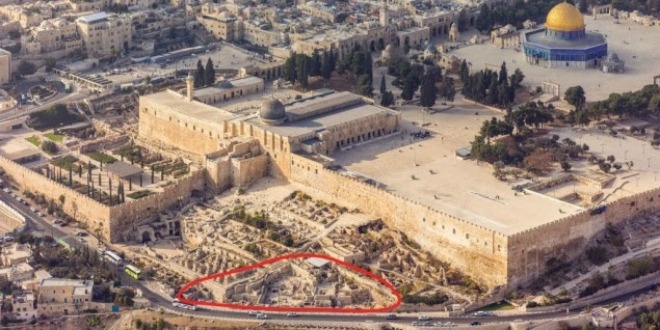 Solomon’s royal and military complex was located to the immediate south of the Temple. It included the palace, the throne room, which had a porch of pillars, then a porch for the throne room in which the king sat in judgment. Behind this were quarters for the king, and a large courtyard. Also included was the house for the queen. Josephus says The Palace stood over against (or opposite) the temple. They were so close together that a shout in the Temple court could be heard by the Queen in the Palace. (2kings 11:12,13) We also know from scripture that the Palace was built on the Ophel, outside, and up hill, from the City of David, and down hill from the Temple. The Temple took 7 years to build, whereas the Palace and the house of the Queen took 13 years to build. 1 kings 7:1 But Solomon was building his own house thirteen years, and he finished all his house. 7:2 He built also the house of the forest of Lebanon; the length thereof was an hundred cubits, and the breadth thereof fifty cubits, and the height thereof thirty cubits, upon four rows of cedar pillars, with cedar beams upon the pillars. 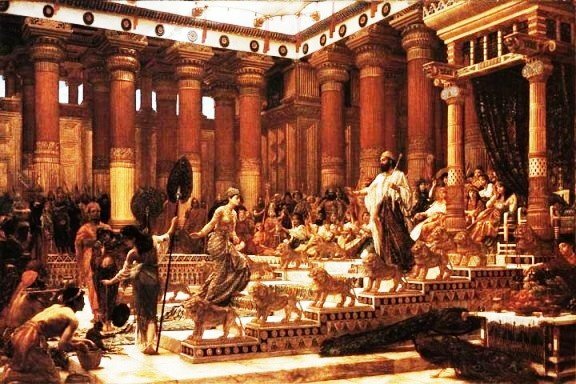 We are told that Solomon had a 1000 wives, and even if that is an exaggeration, we know that he had many, many, wives that also had to be housed within the royal complex, along with all of their children. What we learn from this information is that the Royal complex extended up to the south wall of Solomon's Temple on Ophel hill. It is said that the Herodians, when building the southern lower courts of the Temple, built over the top of the ruins of Solomon's Palace complex. It would have gone into ruin many centuries earlier and so he had no regard for it. All of this information fits well with my location for Solomon's Temple. 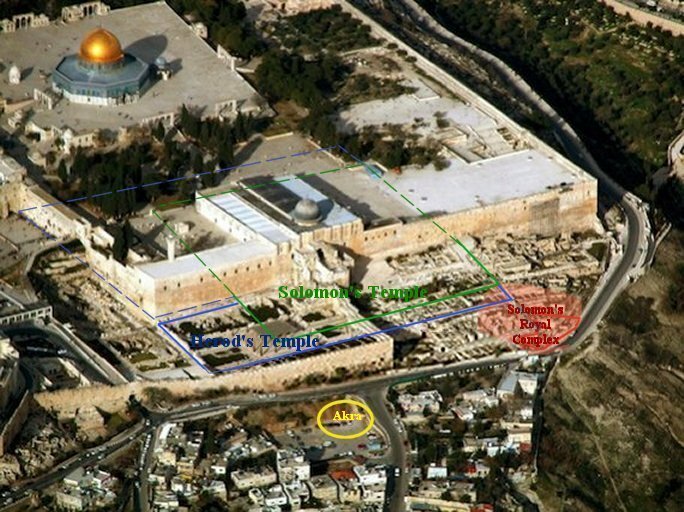 The Green line represents Solomon's Temple complex. The Red line is the recent dig of Eilat Mazar revealing a small portion of the Solomon royal complex. The light red represents a general Solomonic complex area. Eilat Mazar has only uncovered a small portion of the Solomonic Complex. An inner gatehouse for access into the royal quarter of the city, a royal structure adjacent to the gatehouse, and a corner tower that overlooks a substantial section of the adjacent Kidron Valley and a large section of Solomon's city wall. 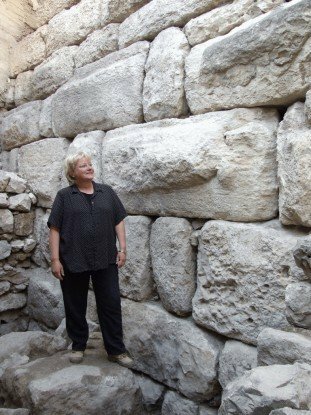 “The city wall that has been uncovered testifies to a ruling presence. Its strength and form of construction indicate a high level of engineering,” Mazar said. The city wall is at the eastern end of the Ophel area in a high, strategic location atop the western slope of the Kidron Valley. Eilat Mazar hopes to continue the dig to the east and reveal the tower on the Solomonic wall. My location for Solomon's southern temple court is the only one that would make the proper connections with what Eilat Mazar has discovered. 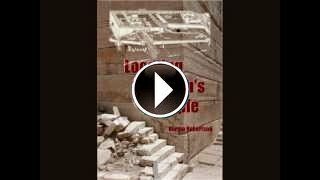 The other Temple Mount theories, such as Tuvia Sagiv's location over the Al Kas Fountain, is too far north of this, and of course the Dome of the Rock location by Ritmeyer and the Dome of the Tablets location by Dr. Kaufman is out of the question. 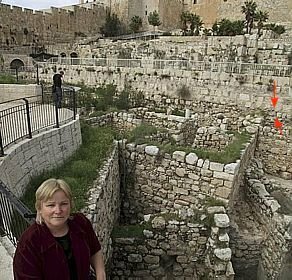 The City of David location for the Temple by Dr. Martin/Bob Cornuke would have us believe that Solomon built his palace in the City of David, south of their Temple location. This goes against all the Biblical sources that tell us that Solomon built his house outside the City of David. For this reason, in my opinion, it would be very difficult for the other theorist to acknowledge this find for what it is.